The Kroger campaign was created to express how working at Kroger fits in with the goals and needs of its employees. To facilitate this, the slogan "Kroger works" was created, following with the recruitment headline: Kroger works for me. 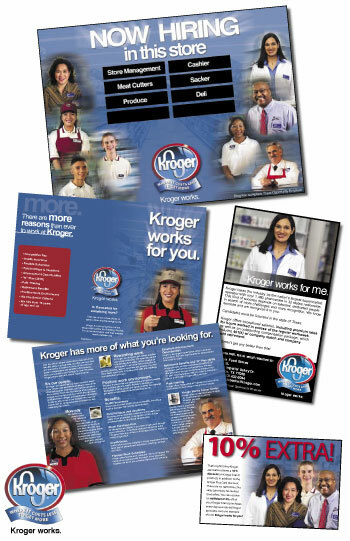 The ads feature real Kroger employees, along with all the direct mail pieces, trifold brochures and various print ads. to communicate specific job openings to the public.